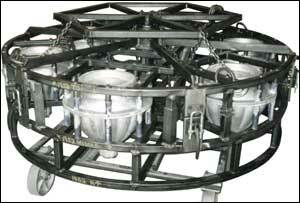 Our highly trained staff has dedicated their careers to the production of tooling for rotational molding. They are specialists in this field, craftsmen and the core of our success. From model production through final inspection, every mold must meet our stringent quality standards. Rotocast is staffed with veteran pattern makers that work in close corroboration with our foundry team. Our pattern and foundry tooling personnel are experts in taking customer product concepts and creating foundry tooling that assures a long-lived production tool with a parting line and production features for ease of molding. Our craftsmen are capable of producing patterns or making any pattern modifications required. We also maintain partnerships with local pattern shops to facilitate CNC or foam pattern production if needed. Our foundry tooling is proprietary and has been developed by Rotocast to enhance our unique foundry processes.  At Rotocast Technologies, our experienced foundrymen have perfected the process of pouring high-surface quality thin-walled castings specifically for rotational molding. Our casting process knowledge is based on learning derived from a heritage of producing aluminum tire molds. This makes us unique as a rotational mold tooling supplier and allows us to boast of the best dense castings in the industry. It is important to note that the castings required for the rotational molding process are truly unique, and there are only a few foundries throughout North America who can produce aluminum castings to the quality standards required for this process. 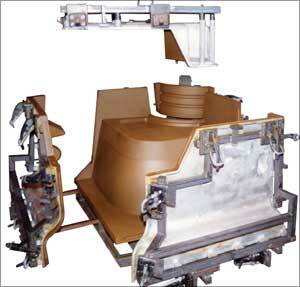 The complexity in the castings required for rotomolding comes from the process itself which requires thin walled castings with a high quality interior surface. 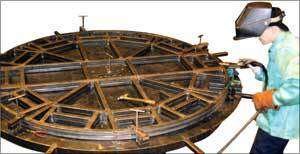 The outside surface of any rotational molded product is a mirror of the mold from which it is produced. Therefore, it is critical that the surface quality of a cast mold be free from defects or blemishes that will be reflected in the part. The castings also need a uniform wall to quickly transfer heat to the resin inside the mold. 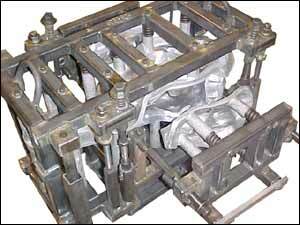 The wall thickness of the casting is typically ¼” to 3/8”. Aluminum foundry technology to provide metal flow and fill over complex geometry is our forte. Our finishing technicians are specialists in handpolishing a casting to the desired level of finish. We offer a wide variety of finishes from shot peened and sandblasted textures, acid etching and polished surfaces ranging from a light hand-sand to mirror polish. Teflon coating and special coatings are also available. 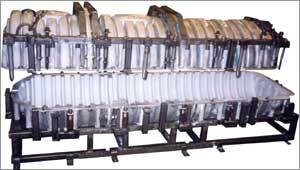 A well-constructed frame is essential to operation of the mold and protecting the casting from distortion and parting line wear. Our assembly department and engineering staff design each frame specifically for the molding environment and machine on which it will be run. Our total team approach allows flexibility to meet unique customer frame requirements for optimized production and output for the molder. In addition our design and fabrication expertise allows us to offer complete design integration of inserts, pins, machining and clamping systems to meet product, customer or process requirements. 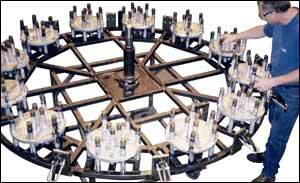 If you’re looking for a rotationally molded part or rotomolder, we can help you locate them.